Game of Thrones is a fantasy television show that continues to enthrall diehard fans as well as new ones. With edge of the seat scenes, uncertain betrayals and epic bloody battles, the show was destined to be a hit. The popularity of the show is one of the reasons that costumes depicting the favorite heroes, heroines and even villains are among the most sought after this year for Halloween. 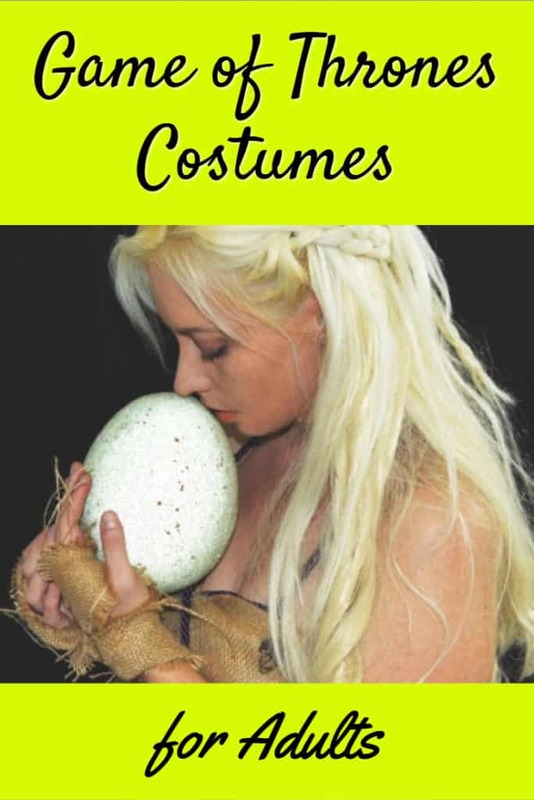 The complex character Daenerys Targaryen is on the top ten list for the most wanted costumes. 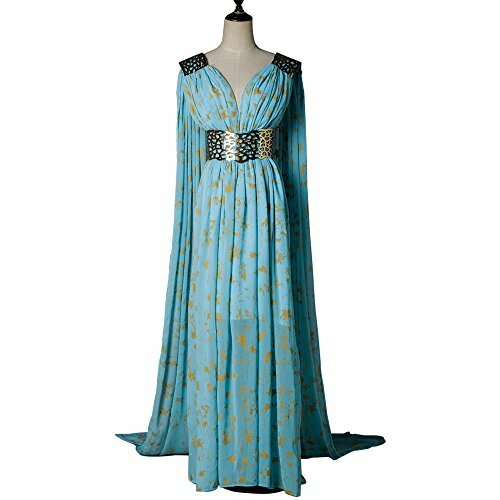 One of the dresses that she wears on the show became a fan favorite. 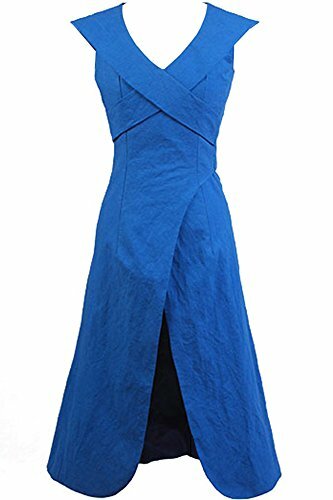 The dress with the low cut front that closely matches the same blue found in her cape is one of the most popular choices. 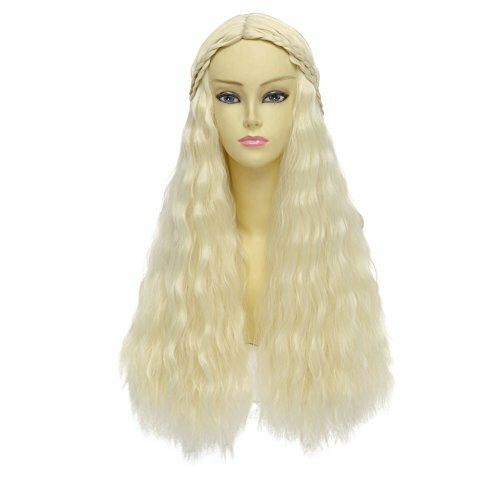 Plus, you can find the blond wig done in a replica hairstyle with the thin braid that’s fastened at the back. You can find this one in the adult category. 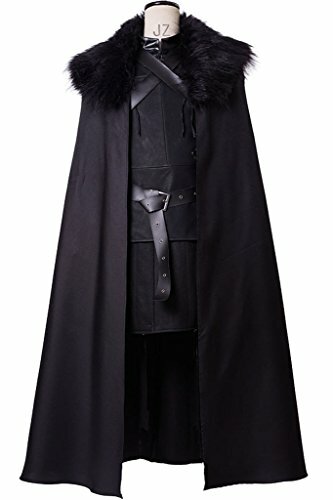 The ever popular and powerful character of Jon Snow in the television series is another top choice for costumes for men. You can find one that features the same cape complete with the dark and light color fur mix trimmed around the top of the cape and the straps help to hold it in place. 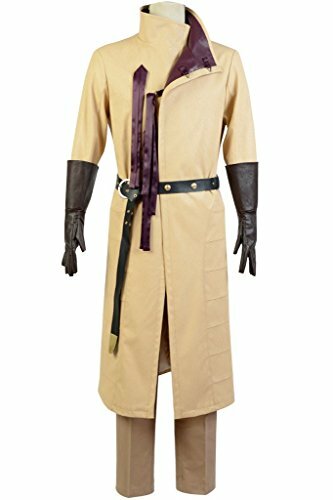 You can get this costume with the faux leather peascod and cotton gambeson. The gambeson is open on the sides and you can get this costume with the high collar black shirt that’s 100% cotton. The leather belt has decorative nickel on the outside of it. Pants and the boots don’t come with most of the Jon Snow costumes, so you’ll have to get those as separate items. Funny character Tyrion Lannister is also among the top chosen characters when it comes to costumes. Fans appreciate his humor and wit. His costume consists of a long red or black tunic that’s trimmed in burgundy, black long sleeved shirt, black pants and boots. The hand of the king pin that he wears on the front of his tunic is sold separately. For all the beloved characters on the show, however, there are many favorite villains. One of the most chilling is The Night’s King. Just looking at him is sure to make you to shiver. His costume consists of icy armor but it’s the mask that will create the most chills. Done in the same icy white tones shown by the character in the show, the mask is a work of horror art. Around the front and sides of the mask, the forehead and scalp are pulled into the pointy horns. The top of the mask, which fits over the entire face, has the cracked skull appearance. Most startling about the mask are the icy blue eyes.